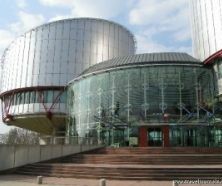 TBILISI, DFWatch–The European Court of Human Rights in Strasbourg next year will announce its ruling in a case Georgia has lodged against Russia concerning the deportation of Georgian citizens from Russia seven years ago. This was conveyed in a message from the court to the Georgian Justice Ministry, after the minister asked the Strasbourg court why a decision hasn’t been announced yet, as the hearing was finished in June, 2012. The court did not specify why it is taking so much time to reach a decision. Georgia filed a case against Russia at the Strasbourg court in March, 2007, after a wave of deportations of Georgian citizens. The deportations took place some months after Georgia detained four Russian diplomats accused of being spies. In 2009, the Strasbourg court decided to allow Georgia to have its case heard, and in February 2011, the court questioned witnesses. June 13, 2012, there was a final court hearing.